I’ll help you. Give me 21 days. I’ll give you sanity. Registration Now for Our Next Course Session Starting January 25th! Enter your email to get updates about our next course! Get Updates About Our Upcoming Courses! Parenting can be frustrating. There is no getting around it. None of us like being angry, irritable and frustrated. All parents experience these feelings, and that’s okay. But the impulsive actions that often follow our irritability, leave us wishing for something better than a hoarse voice and hard feelings. 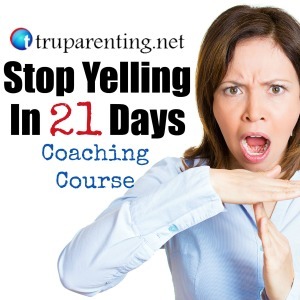 The TRU Parenting Stop Yelling in 21 Days Coaching Course will help you find that “something better.” It will give you the inspiration, support and tools to leave the chaos behind and have the calm you’ve been searching for! If yelling, nagging, and empty threats have left you feeling like a bad parent, know you are definitely not alone! Other parents struggle too. Even the ones you think have things all put together. We have all experienced those freak out sessions after a child takes a color crayon to the flat screen or the walls. We’ve all felt the explosive tension that builds up when the kids just won’t listen, even after the “millionth time.” When they refuse to do their chores or start bickering and fighting with their siblings, we know the boiling blood feeling that accompanies. So often, the kids get loud and it all happens so fast that we find ourselves yelling, again. We said we wouldn’t yell, but there we go again. Its a habit; an automatic reaction that just seems to happen without thinking about it. We know that it leads to more problems than it does solutions, but its SO HARD. We find ourselves going through the same negative cycles again and again. You can be calmer. You can stop yelling and feel happier and get more happiness and cooperation out of your kids in the process. You can do it in 21 days! What are parents saying about TRU Parenting Courses? 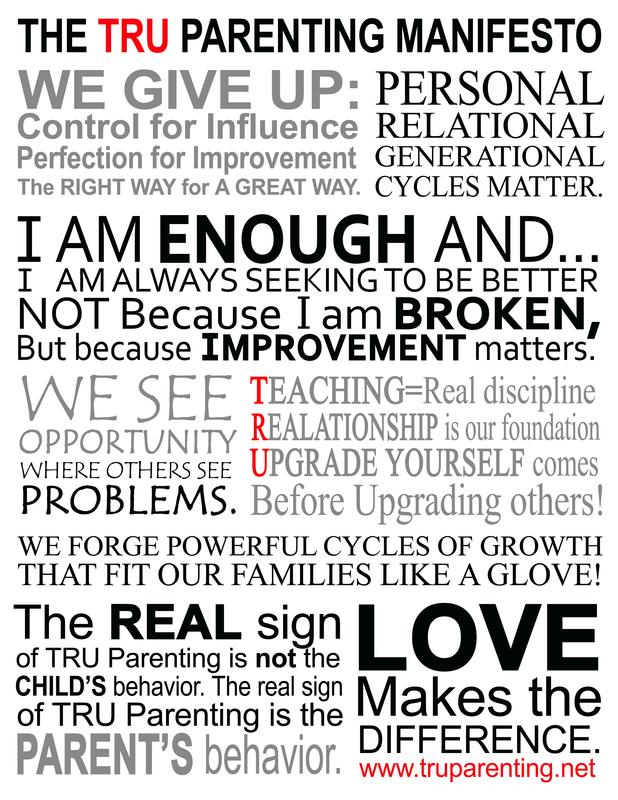 “I had never really stopped and thought about some of the things I learned in TRU Parenting. It made me think. I have new expectations for my parenting. My eyes are wide open!” Chris S.
“I feel like I can parent with love rather than anger. TRU Parenting gave me inspiration and tools to really parent out of love.” Cheryl C.
Get Updates for Upcoming Courses by entered you email below! 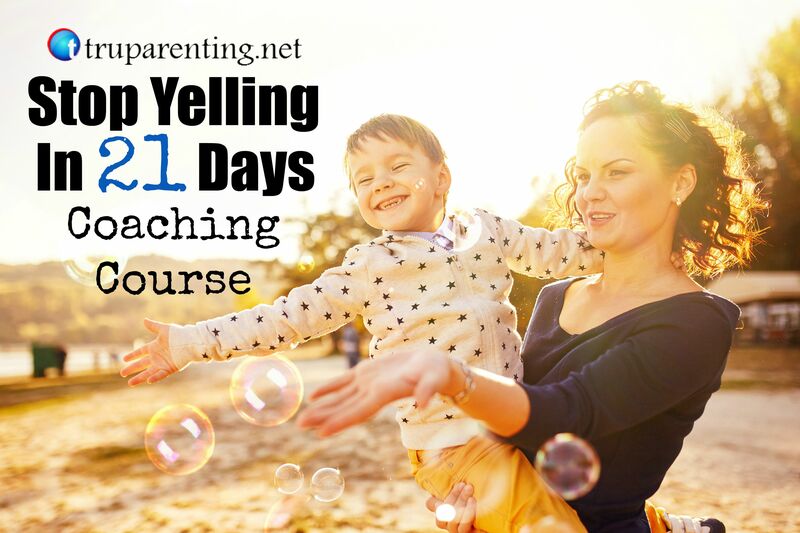 Who is the TRU Parenting Stop Yelling in 21 Days Coaching Course for? This course is designed for you; the loving, frustrated, compassionate, overwhelmed and gentle parent that wants to have greater calm and peace in their own life and less re-activity and yelling at the kids and others. This course is for the parent that may have even grown up with harsh anger, yelling and possibly even abuse, but is determined not to repeat those negative cycles as the norm in their home. It is for the parent that wants to teach their children with intention while building strong, lasting relationships. It is for the parent that understands that great teaching and relationships start with themselves. 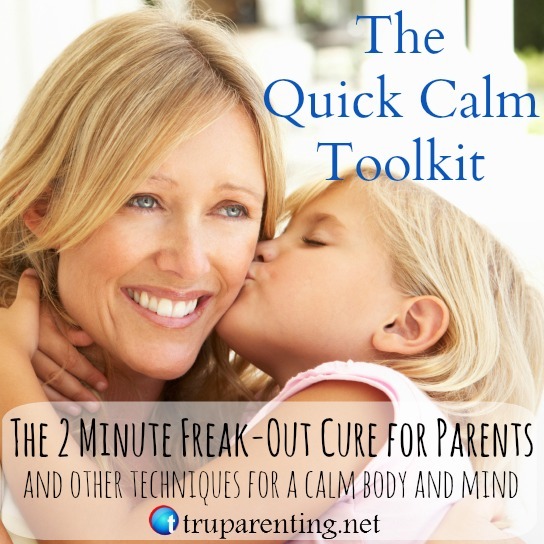 It’s for the Mom or Dad that wants so badly to be calmer and stop yelling but struggles, like the rest of us, to put it into practice. It is for the insightful parent that knows they CAN react calmly and stop yelling, and is ready to invite help and support to aid them in the steps necessary to make it happen. In short, if you’re reading this, it’s for you! You CAN and WILL Succeed! The “Stop Yelling in 21 Days Coaching Course” is a 4 week course that will give you the mindset, the skills, the techniques and the support you need to finally kick the yelling habit and invite a new calm and cooperative atmosphere into your life and home. As a result you can expect to personally feel better, have happier and more cooperative kids and establish the home and family life you’ve been wanting. Weekly instructional videos with important principles, skill and techniques to help you make the changes you want to. Written materials delivered to your in-box that will give you inspiration and instruction to manage daily struggles and succeed. TRU Meditation and Calming Audio tools to give you the daily peace and awareness you need during your journey. Weekly Periscope Q & A sessions to talk with Andy, ask questions, get the answers you need, more tips and inspiration. More Testimonials. What other TRU Parents are saying? Please come and join us in our next TRU Parenting “Stop Yelling in 21 Days Coaching Course” that Begins Oct. 5th, 2015 through the month of Oct.
Andy Smithson is a Licensed Clinical Social Worker and therapist that lives with his beautiful wife and 5 children in Rural Idaho, along the scenic Snake River. Andy’s first passion is his own family. A very close second is to help parents to cut through all of the clutter of their doubts and daily struggles and build positive personal, parenting and family cycles that will last generations. He writes weekly personal development and parenting articles for parents on www.old.trueparenting.net and has been featured on everydayfamily.com, thegoodmenproject.org, deseretnews.com and various other sites. 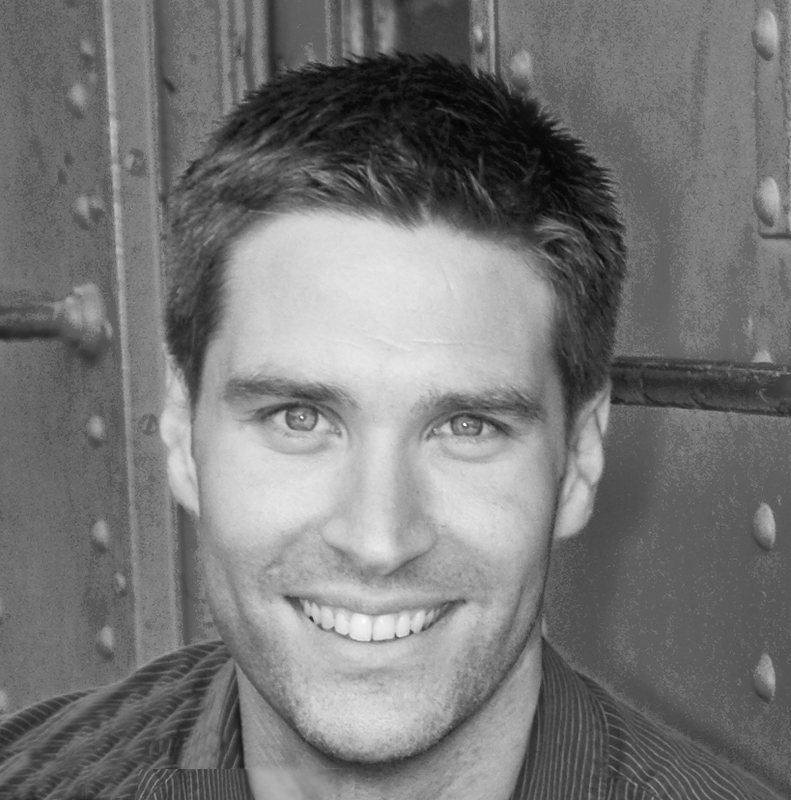 He provides psychotherapy and coaching in person and over skype and is trained in EMDR Therapy. “As an instructor, Andy is on top of his game. He really connected with the class! The learning experience was always helpful and exciting!” Gary C.
Register Now for our next session!